A pair of Scripps Research Institute scientists will bring their biomedical labs to the University of Southern California and anchor the work that will be done at a new health-science facility being funded in part by a $50 million donation from retired surgeon Gary Michelson, the university announced Thursday. Earlier this year La Jolla-based Scripps explored a possible merger with USC, but shelved the idea because of faculty criticism. USC President C.L. Max Nikias is expected to take part in a late-morning groundbreaking ceremony for the USC Michelson Center for Convergent Bioscience, which will house laboratories, a Center for Electron Microscopy and Analysis and microscopy imaging technology facilities. Among those researchers will be two Scripps scientists — Raymond C. Stevens and Peter Kuhn — who will move their labs to the university and bring about 50 researchers with them. 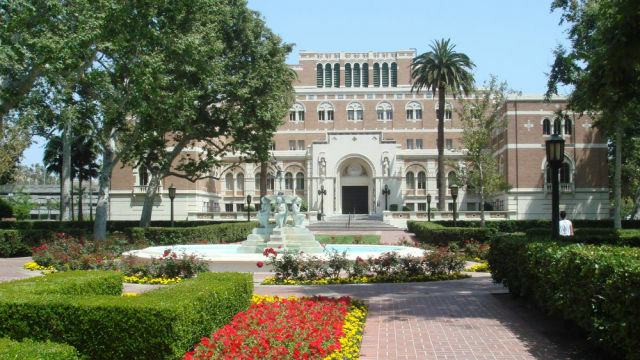 Stevens will serve as USC’s provost professor of biological sciences and chemistry, while Kuhn will be the dean’s professor of biological sciences at the USC Dornsife College of Letters, Arts and Sciences. According to the university, Stevens has pioneered research into human cellular behavior. He has also helped create therapeutic molecules that led to breakthrough drugs for conditions ranging from influenza to childhood diseases to neuromuscular disorders to diabetes. Stevens has founded four biotechnology companies and three National Institute of Health centers. Kuhn is the co-director of an NIH Physical Sciences Oncology Center, working to learn more about how cancer spreads through the body. He also led the invention of a method for detecting and characterizing cancer cells with a simple blood test. At Scripps, he established the translational science program, and he previously served as a physics professor at Stanford. “USC unites the best of the best, who all align on the vision of improving human health with scientific breakthroughs and bring outstanding scientific competencies to the table to make this vision a reality,” Kuhn said.